OCTOBER 1, 2017 Canadian FATCA IGA legislation litigation update. In addition to sending letters to a foreign country, some of us, with a lot of support, are engaged in suing our own country, the Government of Canada, in Federal Court for rounding up Canadians having a U.S. taint and turning them over to a foreign government. We argue that this violates Canada’s sovereignty as an independent nation and its Charter of Rights that is meant to protect all Canadians. Plaintiff activities. Both Gwen and Kazia, our heroines, have now been subjected to oral examination by Government lawyers (and are OK). Litigator change. Our retainer contract for legal services is with the Vancouver law firm of Farris, Vaughan, Wills and Murphy. This has not changed. One of our litigators, Mr. Joe Arvay, has left (as of today) Farris for a smaller firm. Our Board has decided to remain with Farris where we will be well-represented by the lawyers there who have long been working on our case: David Gruber and Arden Beddoes. Waiting for Government response. I would really like to give you now a sketch of next activities and timelines, but can’t. We are now at a stage in which we cannot proceed until the Government responds to our repeated requests as to the procedures Canada will require before our trial on the charter-constitutional issues can be heard. Until we hear from Canada it is not possible to predict the litigation steps for the next several months — since the ball is really in Canada’s court. I am hopeful that we will receive a response from Government in the next few weeks or so, and then I can provide you with a more meaningful update. Sorry for the slow pace of litigation, but we do move forward. Thank you very much Stephen for the update, and I am thankful that Gwen and Kazia are okay after the government’s oral examination. I thank you and them and all those helping it to happen over all this long time. Canada’s delays in this matter, and the Sunny gLib government’s decision to take up the Con mantle (which they once fulsomely and publicly decried) denying our brave plaintiffs and fellow Canadians of our constitutional and Charter rights not to be discriminated against based on national origin, and the ceding of Canadian sovereignty and autonomy to a foreign power remain unconscionable and unforgivable. Take care all of you who have brought us this far. Bless each and every one. I am thinking of all of you with gratitude and warmth. Please pass on my best to everyone. Did anyone notify the U.S. government about the lawsuit? Part 3506 of U.S. law requires Citizens of the United States to notify the government in cases like this. What was the governments’s response? Re the “Part 3506 of U.S. law” you mention, are you referring to 18 USC 3506? That wouldn’t apply in this case, as it requires “Service [on the US govt] of papers filed in opposition to official request by United States to foreign government for criminal evidence”. Thank you all (including Ginny) for your sterling service in the pursuit of Justice. I am disturbed that Joe Arvey has parted ways with Farris. Is there no way that he could continue in this case WITH Farris till this case is ended. He does have quite a reputation. Does the Cdn Govt really have control of the accelerator in this or does the Court? Glad to hear that Gwen and Kazia are OK after examination by government lawyers, which can be quite an ordeal. Sad to hear Joseph Arvay is no longer involved. He left me with a very positive impression as a lawyer in the Vancouver court proceeding. @pacific777 – I don’t know if that’s the law or not. But I’ve been told that the U.S. gov needs notification and if it hasn’t been notified that is a big problem. Thanks for the update, Stephen. A big thank you to our plaintiffs, present and past. Stephen: Thank you for the update. I am saddened to learn of Mr. Arvay’s departure. That is one of the prices to be paid for the sluggish progress of this litigation. The delay tactics of the Canadian federal government in this matter is beyond belief. Meanwhile Mr. Arvay’s life has moved on. The rest of us would like to move on too. I will hope, along with you that we hear from the government lawyers VERY soon. My best wishes and thanks to our plaintiffs! Dazed: This lawsuit is being brought by CANADIAN citizens against the CANADIAN government. Why would the US need to be notified? “… (and are OK).” is the best news in the update, to me. Many of us (me especially) would be a nervous wreck, before, during and after such an interrogation. Gwen and Kazia are amazingly strong plaintiffs. We’re lucky to have them. Very sorry to hear that Joseph Arvay will no longer be part of the legal team. That’s what happens when things draw on and on … people have to move forward in their lives. I’m sure that’s just the sort of thing the government has been banking on with its constant delaying tactics. I guess our “Surgite!” will simply have to endure the reality that justice does not always come in a day, a week or a month … it can take years. I urge those in Canada to forward your MP’s a copy of Congressman Posey’s letter to Treasury Secretary Mnuchin, with a suggestion that instead of fighting their fellow Canadians in court, they could be using any channels they have trying to get FATCA repealed, or at least “frozen” by Secy Mnuchin. The liberals attacking small business and farmers, raising taxes to continue raising money to feed it’s spending habits? Whaaaaaaaaaaat? What the team has accomplished is admirable. You have done more than you think. As the Canadian govt drags this out, you have to live with changes in plaintiffs and lawyers. I do hope you all keep at it and win in the end, but whatever the outcome, you have done so much to help us all, to raise education and awareness, that it is impossible to thank you enough. Thanks for the update. I too am sorry to hear about the loss of Mr. Arvay. If absolutely nothing happened at all , which of course, it has, we would all be better for the association with all here. Good and bad. Positive and Negative. The fact that so many diverse people, physically, socially, politically came together for one cause: Justice and Sovereignty, is a remarkable and almost miraculous achievement. Particularly since most have never met in person. And yet, most who have participated have realized a benefit that many not involved would never understand: The saving of our sanity. Drawn together by one all encompassing outrage against our individual freedom and our privacy. Not to mention the wholly evil assault on Canadians whose connection with the US was through marriage only or some other very legally tenuous attachment such as membership in a company, co-op, club. It would appear that the US Congress may move before our court case can be heard. It has been suggested that the Canadian government see the writing on the wall and withdraw their very expensive objections to our rights and liberties. The Trudeau government seems not to care one whit about those of us who have been here, been born here or reside here peacefully and productively contributing to society. ONLY those whose origins are suspect as are their motives are given taxpayer funded free rides on taxpayer funding they have never contributed to or earned in any way. Political parties in Canada are going to have to answer to a whole lot more than they have in campaigns of the past. Mr. Trudeau has squandered in record time the good will of a nation looking for solutions a new government should be expected to provide, especially when the promises made were specific. The attitude of the Trudeau government perfectly mirror the attitude of the Obama government over 8 years. The embracing of the Trump Administration is totally rejected in Canada politically leaving the country at least 8 years behind in understanding the threat we face as a country and as all people face under the assault of global aims and intent. 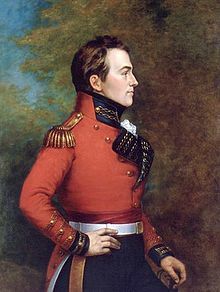 One hopes the determination of opposition in Canada mirrors the determination of the individuals who make up the Isaac Brock Society and the ADCS. Moreover, the determination of those opposing the Canadian government to the adherence of defying existing law to return the Bank of Canada to the country of it’s origin for the benefit of her citizens instead of the overwhelming enrichment of private entities. The ending of FATCA. The recognition of the government of Canada that their efforts to destroy Canadians on the orders of a criminal administration in cahoots with global intentions is even more Treasonous than giving away their own public bank would be excellent if they acknowledged it on their own rather than having it forced on them. The enormous cost in taxpayer dollars of our own government defying her own citizens for the further enrichment of offshore interests, whether they be the US IRS or the Bank of International Settlements is something that should ensure the enmity of an entire nation. Thank you for your comment. It is worth reading more than once. It truly represents what has been going on. Thank you, Furious AC. You have put into words well what many of us deemed US citizens or persons in Canada or bonafide dual US/Canadian citizens think about what the Canadian Conservative government did in so readily signing an IGA with the US and, as a real slap in the face, the then complete betrayal of the Liberal government after all of its hollow words turned into a complete flip-flop. *A Canadian is A Canadian is A Canadian* or so it’s been said. Kudos, Furious AC! Thank you! This is a very interesting report by TIGTA, and worth reading (thanks to Tom.Harrison for bringing it to our attention on another thread). , it appears seven treaty partners have paused further automatic exchanges with the IRS pending resumption of IRS automatic exchange activity. Admins, it’s not my intention to duplicate the comment I made here http://isaacbrocksociety.ca/2017/09/26/five-days-left-to-send-repeal-citizenship-based-taxation-letters-and-petition/comment-page-4/#comment-8013084 but thought it would be very useful (and perhaps more relevant) on this lawsuit update thread too. Perhaps the lawsuit team could look at the TIGTA report to see if it contains any useful ammunition to bolster any line of argument, or to cast doubt on how it is that Canada is willing to violate and subvert our Charter and constitutional rights in order to send information that the US cannot even use and potentially has suspended providing even non-FATCA information to treaty partners – which might include Canada? Comment from BADGER: (Badger accidentally posted this on the wrong thread and asked us to move it here (we can’t actually move a comment, so I cut-and-pasted it)). “Later reading in the TIGTA report, Canada and treaties which include mutual assistance in collection agreements are mentioned, (and also the ‘international tax gap’ which they continue to admit the IRS has no actual numbers for). an annual average of $39 billion, with individual taxpayers accounting for $29 of the $39 billion. The IRS does not have a separate estimate for the international component of the Tax Gap. There are some limitations on the type of taxpayer each country will pursue collection against. Thanks once again @pacifica. I am muddled with chasing too many threads today. I hope the relevance of my posts here re the TIGTA report are clear. Canada is mentioned in the report because it is one of the countries with an automatic ‘reciprocal’ reporting agreement, the IRS has too much data from other tax agencies in other jurisdictions to sift through overall – even without including the FATCA data, and thus US reciprocity in general is further in question – as they have apparently suspended for years some of the automatic information they were providing to some un-named countries (could include Canada as far as we know? ), TIGTA is pushing them to do more with the data in terms of requests for mutual assistance in collection (Canada is one of the countries with mutual assitance provisions), surprisingly though the IRS claims FATCA to be a success,TIGTA left FATCA data out of its audit report (no reason given), etc. This report calls into further question why all the countries of the world are being extorted at the point of the FATCA witholding gun, and paying for the ongoing implementation of a foreign US law on our own sovereign autonomous soil to be used against our own citizens and taxpayers, and absurdly the US is not even able to cope with the information it already collects, and in some cases (unknown) has stopped remitting information to some of the countries that it has agreements with. I commented in the hopes that other will read the report and consider whether it can either help on this thread with the lawsuit and support for Canadian opposition against FATCA and US extraterritorial CBT imposed on Canadians (and on the other thread that it might be used to help with framing of letters against the cost, wastefulness and futility of enforcing US extraterritorial CBT, FATCA and FBAR). I don’t really understand all the import of this, but this caught my eye, and wondered if it might help the lawsuit? I’ve put it also on a few other threads. (FATCA and Canada, and as fodder for the letter/petition writing campaigns). they would be taxed according to U.S. laws and yet not able to receive any tax credits under the treaty. Interesting comments from the IIAC about “…jurisdictional concerns..”, and the potential for paying US tax but without being able to claim credit for it under existing tax treaty with US. Also notes the problem exists and has been noted by “…United Kingdom, France, Spain, Italy and Germany…” . clarification was needed from local tax authorities before withholding could take place. purposes, agreed by the respective tax authorities. counterparts in other tax authorities to discuss these issues. US Treasury view that it is a dividend, that may lead to the denial of a tax credit”…………. Perhaps this can help to show that the IGAs do not solve the jurisdiction and legal and tax issues entirely, and may still be in conflict with the Canada US tax treaty? Perhaps this is not covered by the enabling legislation? Beyond my ken, so turning it over for you to read and consider. Read also their footnote links to letters from the German banking association, etc. as provided in the IIAC letter. All useful links should be immediately entered into the Wayback Machine internet archive https://archive.org/web/ and saved for future reference to preserve access.